If you read my post about the new year, you know that I wanted to come up with a blogging schedule. I have limited time to myself, and I want to make the most of it. I really enjoy writing and having this outlet, but it can get overwhelming at times. Coming up with a blogging schedule (and sticking to it) is key to maximizing the enjoyment and minimizing the stress. If you don’t have a blog, I’m hoping my scheduling tips can help you in another area of your life. We all need to get stuff done, right? When I first started this blog, I used it as a journal. I wanted to keep family and friends updated on the boys, and I also needed the emotional outlet when they were in the NICU. As time has gone on, it’s turned into a lot more than just my own personal journal. I enjoy sharing other premature birth stories, and connecting with so many families that have had similar experiences. I also like the way the blog helps keep me accountable with my goals, and figure out some parenting issues. Plus, I even get to have some fun by reviewing products and places that I think you might enjoy. With that being said, just writing a post and hitting publish doesn’t cut it anymore. I spend hours sharing, pinning, tweeting, and promoting many of the posts. I want to reach as many people as I can to spread awareness, offer hope, and educate others. It also isn’t terrible when I can earn a few extra dollars doing something I enjoy. A blog can be a lot of work, and having a schedule will make it more manageable. What do you have going on day-to-day? Where do you have time to fit in blogging (or your other task/hobby/side-job)? This may change weekly or monthly, but most of us have a pretty set schedule. As moms, we work around kids going to school, spouses working, and household chores. You have to carve out time for yourself, which is where I will fit in blogging. On most days, this will be after the kids go to sleep. Even though I want to just crawl into bed and watch TV, it’s really the only extra time I have. Some people like to get up early and work before anyone else is up. In my house, you have to be a pretty early riser since one of the kids is usually up by 6 am. That is just not productive time for me. I’d rather work later at night. Whether it’s a Zumba class or my son’s after school activity, everything has a set time. If you block out a certain amount of time each day dedicated to blogging (or whatever task/hobby you do,) you know you will always have a dedicated spot. Sure, other things may come up, but having that time carved out is a great start. Also, be as specific as you can about what you want to get accomplished. For example, on certain days, I will work on writing new content, while on others, I will work on updating older posts and pictures. As I mentioned, my time will be after the kids go to sleep, so I’m setting aside at least an hour each night starting at 8 pm. I plan on working on posts first while my mind is more awake, and then working on promotion in the last 15 minutes. I write everything down, plus keep an online calendar. Workouts, my meetings, and all of our family appointments get a spot. I also have my work, and my husband’s work in our online calendar. So, why haven’t I done this for blogging? I’m not sure, but I’m doing it now! Not only can I keep track of when I’m working, but I can also jot down ideas for upcoming posts. Here are some great calendars/planners that don’t have a date, so you can start at any time! After I’ve set my specific time, written them down, and tried them out for at least a week or two, I might need to adjust my schedule. That’s perfectly OK! Maybe I’ll be too tired at the end of the day, and try going to bed earlier, and then getting up early instead. This probably won’t happen, but you should always give yourself permission to try different things. If you’re having difficulty keeping the schedule you set, it’s probably not going to last very long. Adjust times. Start 15 minutes earlier or later. Instead of working for an hour straight, try breaking up the hour into 2 half hour chunks. Even though you may not have a lot of extra time, you still can adjust it to fit your needs. Everyone works differently. Once your schedule is working, and you’re getting things done, don’t forget to reward yourself. Setting a schedule and being productive is a big deal. Celebrate the small wins! It doesn’t have to be anything huge, but get yourself something or do something nice. Maybe new planner stickers or pens. Have a glass of wine with a friend. Take a bubble bath. So, not only do I want to set a schedule for myself, but I want you to know what to expect on the blog from week to week. Without further ado, here’s my tentative blogging schedule. Please remember this has not been tested, so kinks will be worked out. Mondays – Micro Preemie Monday – I’m so happy to report that I’ve got a bunch of stories that are just waiting to be shared. As long as they keep coming, I will keep sharing! If you, or anyone you know, wants to submit a story, please click HERE. Tuesdays – Try It Tuesdays – For the new year, I want to try new things. Whether it’s a new activity, a new product, or a new way to entertain my kids, I’m going to try it and share it with you. If you have any suggestions, send them my way! Small business owners please send me your products. Local business let me try your service. Have a type of exercise you’ve been wanting to try? I’ll try it for you! You can email me at shanneva@yahoo.com will all ideas and requests. Wednesdays – No post or share an Older post – I used to try to blog every day, but I’m going with quality over quantity these days. At least I hope so! Thursdays – Parenting Topics – With three boys, there’s always something to talk about, or worry about, or ask advice about. Fridays – Health Topics – I’m still going strong with my healthy eating and working out, so I want to keep exploring. I don’t have any health challenges planned, but I will be talking about what works for me. Mental health is another area I’d like to talk about, and I’ll also be exploring some kid’s health issues. I plan on blogging three days a week, so Thursday and Friday posts will be on alternating weeks. On the opposite week, I will probably share an older post on one of those topics. Make sense? Was this post helpful? I know it helped me to write everything out, but I hope you got a few tips you could use too. 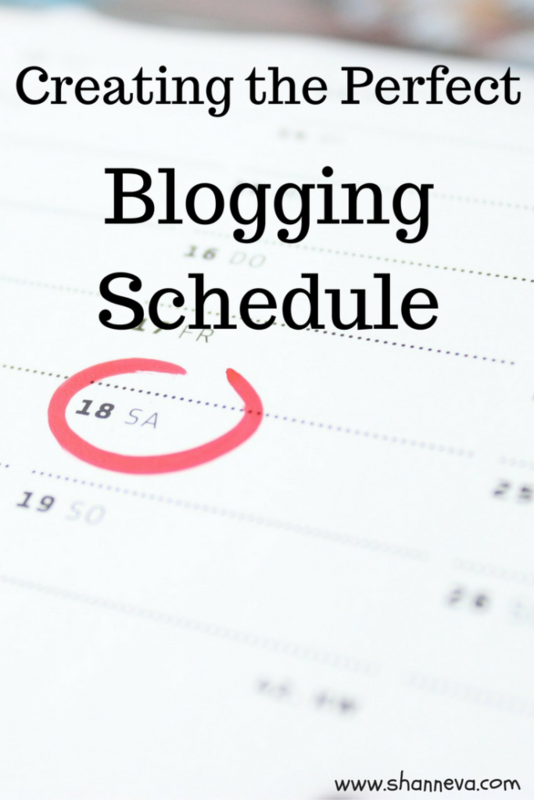 Do you have a blogging schedule? How do you stick to your schedule? Thanks for sharing this! I need to get better at scheduling myself and I know what you mean with maximising the enjoyment of blogging. It’s a lot less stressful when you know what you’re doing haha! This is a great schedule! I try to blog about twice a week, and that works for me for now! Wow you schedule is so inspiring! Wish I could do that too, Shann. Totally agree with you, setting aside time for each task minimizes stress and helps get more done. 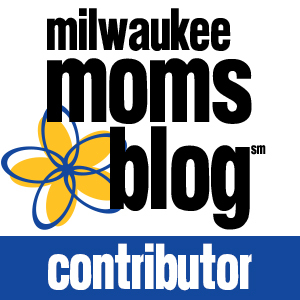 I am impressed at how many posts you publish each week along with managing 3 boys, kudos! Thank you for the push!! I actually bought a brand new and gorgeous planner for this purpose and hadn’t written anything in it. 🙁 I am never good with making schedules, but I need to do this if I want to manage my time better and keep things consistent. I like your blogging schedule!